A Musicological Study of Ken Russell’s Composer Films – Part 9 (Conclusions). The auteristic traits of any director can have a strong, almost unstoppable effect on a film and its subject matter. This often ranges from stylistic visual aestheticism to more thematic trends in a director’s body of work. 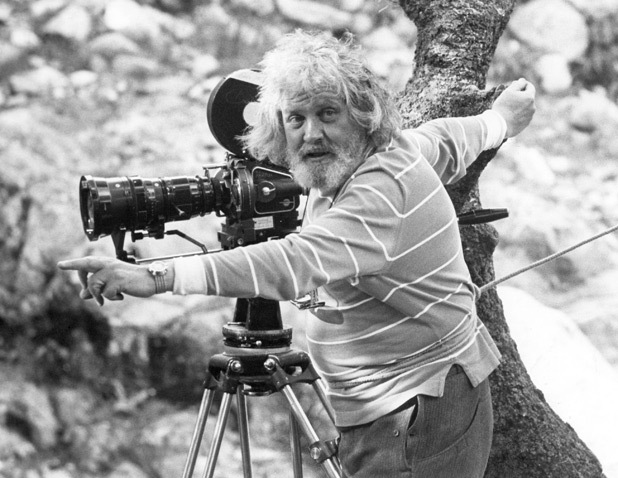 For this case study of the work of Ken Russell, this idea of the power of the auteur has been the starting point for looking at the effects this has had on the cultural and historic dynamics that surround the representations of classical music and its composers. From having in depth analysis of several of his key works, as well as background research into the director’s many other musical projects, the strong, linear reading of his work suggests that the power of his own auteurism does create critical comment on a large number of orbiting topics. The subject of Classical music and its composers is one that is clearly dear to the director but the relationship is far more complex than a mere admiration of the topic. As has been shown, even from his earliest attempts (and opportunities) to make cinema, whether for television or for film studios, Russell has leaned towards creating works that deeply question the motives of classical artists. This form of questioning was rarely a balanced one but one quintessentially formed by the director’s own interests and bias in the creative process and everyday life. In his early BBC films, the director used the form of audio-visual culture and the potentially metaphysical character of film itself to address the lives of composers such as Bartok and Debussy with varying levels of quality and effect. This set of films (which would include projects unmentioned within this essay such as his Frederick Delius film, The Song of Summer), would set the tone for an obsessive compulsion for critique far ahead of its time in terms of musicological interest. The Russell prism was still forming at this point in the director’s career but there’s a clear gain in confidence as these documentary films progress, to the point where Russell reaches his transitional period and then beyond. Throughout the 1970s, Russell is shown to be hyperactive in his filmmaking as a whole, not just in the portrayal of composers but in a general output of provocative work. The musical montage, a technique that he gradually honed to the point of relying on for cinematic time filling, is just one of a number of techniques examined in the defining of the effect of the Russell prism on music. This essay has linked them to the music video and the aesthetics around them a number of times though this reading has been too simple to fully appreciate the effect that Russell gave to the visual realisation of music. Rarely have music videos included biography of its musical composer, thematic realisation, and critical readings of the music in question as well as a synaesthetic realisation that accounts for their often entertaining and remarkably fitting nature. Music is clearly a huge part of Russell’s creative process with so many projects around it that this essay has struggled to restrain itself from assessing them. Russell would make other musical projects such as documentaries on Vaughan Williams for the Southbank Show, on the folk song for Channel 4, on British music as a whole and even a general music documentary in the form of the ABC’s of Music. This is even before discussing his purely music based projects such as the visual interpretation of Holst’s Planets suite, his own directing of operas, and his various uses of music of all types in his non-composer films (a topic which in itself could make up an entirely separate essay). Instead of relaying the rest of the progression of Russell’s work in summation of this essay’s analysis, it is instead better to finally focus on the quality of these musicological readings and whether this style of filmmaking could in fact be called a method of musicological study. Like so much academic musicology, Russell’s interpretations are of course loaded with bias; bias against certain ideologies, certain accounts of historical events, and even how the composers interacted with them (to the point where historical accuracy is all but abandoned). These composer films tell the viewer equally about Russell and his opinions as a musicological essay does about its writer only, because of the double necessity of the medium of film to entertain, there is a definite amount of liberty taken with the historical factors. If this liberty is attributed to Russell’s own creativity and put to one side, what is left is a variety of films that question classical music in such a modern way that it is tempting to label a number of them as “essay films”. The sheer audacity of his later works (especially Lisztomania) may make this claim seem uneducated at best, blasé at worst, but when taken as a personal reception of the history and culture, Ken Russell’s classical composer films present themselves as an effective commentary of personal inflection in a time when rigid adherence to the cultural white-washing of history was still the norm in academic, musicological study. The Aural Aesthetics of Ghosts in BBC Ghost Stories – Part 6 (Excavation).